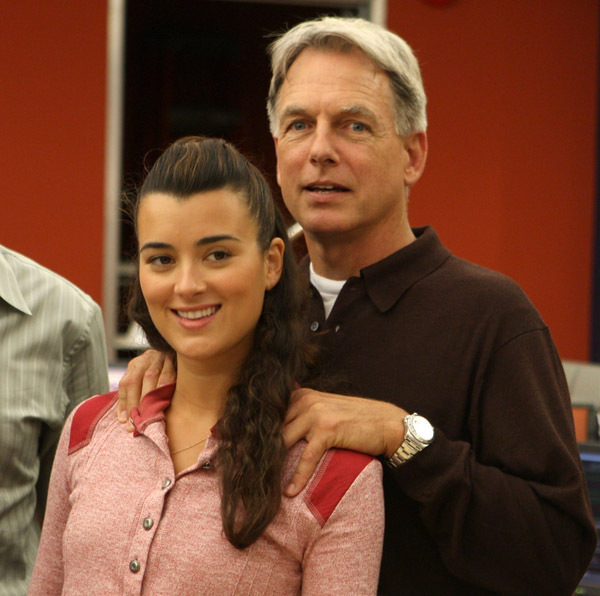 NCIS Cast. Cote with Mark Harmon at the NCIS 100th episode celebration. 4th of September, 2007.. Wallpaper and background images in the Cote de Pablo club tagged: cote de pablo image picture 100th episode celebration ncis mark harmon 2007. This Cote de Pablo photo might contain bovenkleding and overclothes.